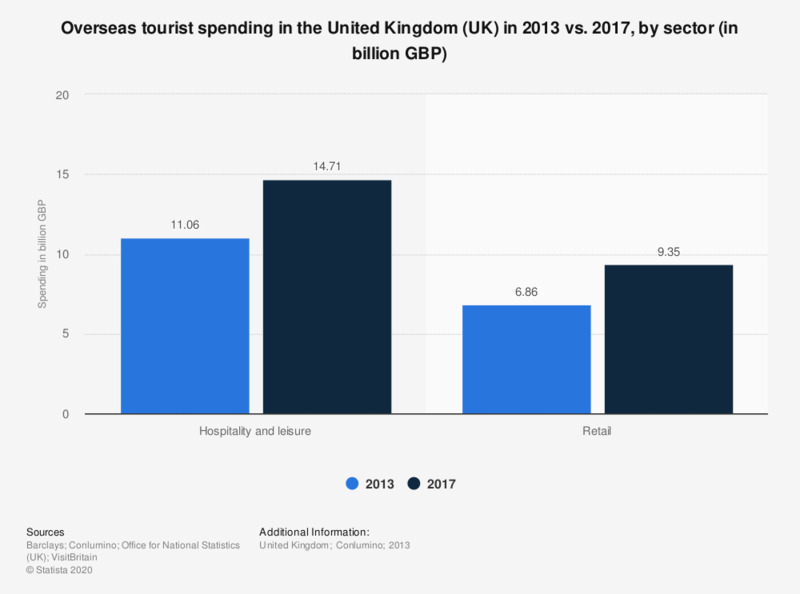 This statistic displays a forecast for overseas tourist spending in the United Kingdom (UK) in 2013 vs. 2017, by sector. According to the report, fashion and home goods in particular are expected to see more spending from overseas tourists. In 2013 overseas visitors to the UK spent 6.86 billion British pounds on retail. This figure is expected to increase in 2017 to 9.35 billion British pounds.